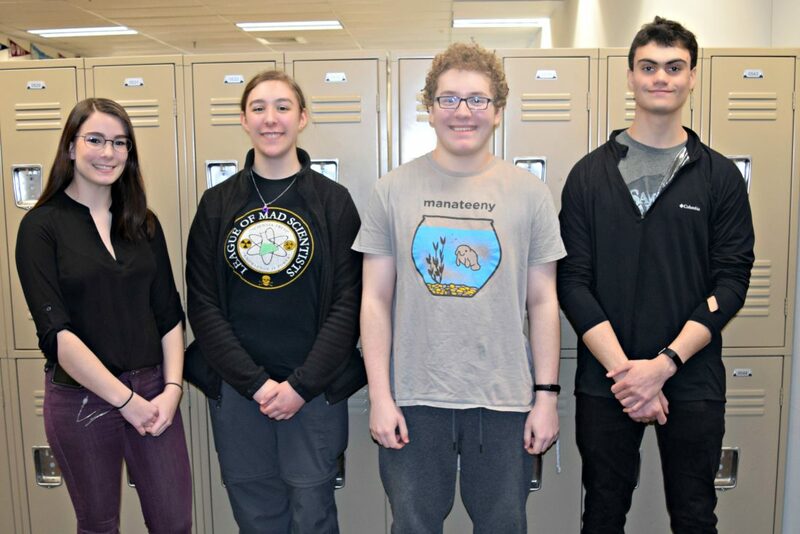 Courtesy photo Four seniors from the Academy for Science and Design Charter School were named as one of the 4,500 candidates in the 2019 U.S. Presidential Scholars Program. From left are Kira Gousios, Laurel Nelson, Christopher Couto and Joshua Calzadillas. 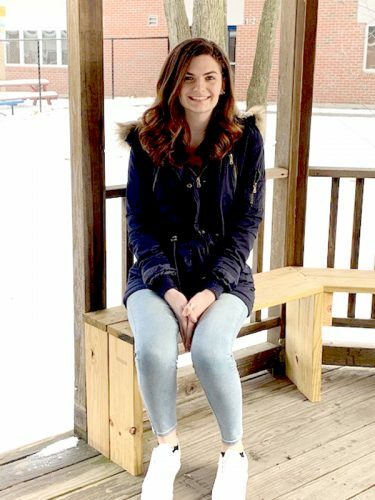 NASHUA – Four seniors from the Academy for Science and Design Charter School (ASD) are among the 4,500 candidates in the 2019 U.S. Presidential Scholars Program. The candidates were selected from nearly 3.6 million students expected to graduate from U.S. high schools in the year 2019. 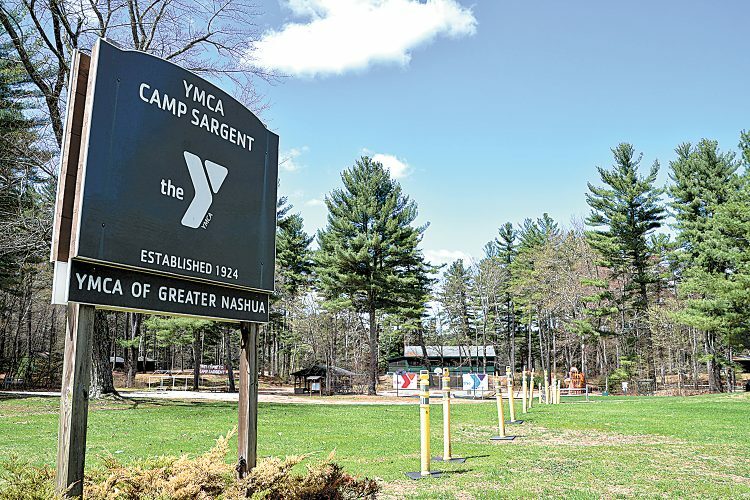 The students are Joshua Calzadillas, Kira Gousios and Laurel Nelson of Nashua and Christopher Couto of Londonderry. “The Presidential Scholar Award is one of the greatest honors a graduating high school senior can earn. These four young adults are ready to take on higher education with a sense of curiosity, passion, creativity, and tremendous work ethic. Our ASD family is incredibly proud of these students and we have the highest hopes for their futures as (science, technology, engineering and math) innovators, leaders and compassionate members of a global society,” school Assistant Director Jessica Golden said. Inclusion in the scholars program, now in its 55th year, is one of the highest honors granted to graduating high school seniors. Scholars are selected on the basis of superior academic and artistic achievements, leadership qualities, strong character and involvement in community and school activities. The program began in 1964 by executive order of President Lyndon Johnson to recognize some of the nation’s most distinguished graduating seniors for their accomplishments in many areas: academic success, leadership, and service to school and community. Annually, up to 161 scholars are chosen from among that year’s senior class, representing excellence in education and the promise of greatness in America’s youth. The students have all been notified by and will have until Feb. 26 to submit full applications for the prestigious honor. A distinguished panel of educators will review these submissions and select 600 semifinalists. Semifinalists will be announced April 17, and two top students-one male and one female from each state will ultimately be selected on May 7. All scholars are invited to Washington, D.C. June 23-25 for the National Recognition Program, featuring various events and enrichment activities and culminating in the presentation of the Presidential Scholars Medallion during a White House-sponsored ceremony. The academy is actively seeking to partner with local companies and businesses for student-centered initiatives such as internships, financial donations, and/or industry professionals to get involved in the school’s program. More information can be found on ASD’s website at www.asdnh.org, or email Marketing and Communications Coordinator Amy.Bewley@asdnh.org.